Surrey University is one of our favourites. These guys certainly know how to party. 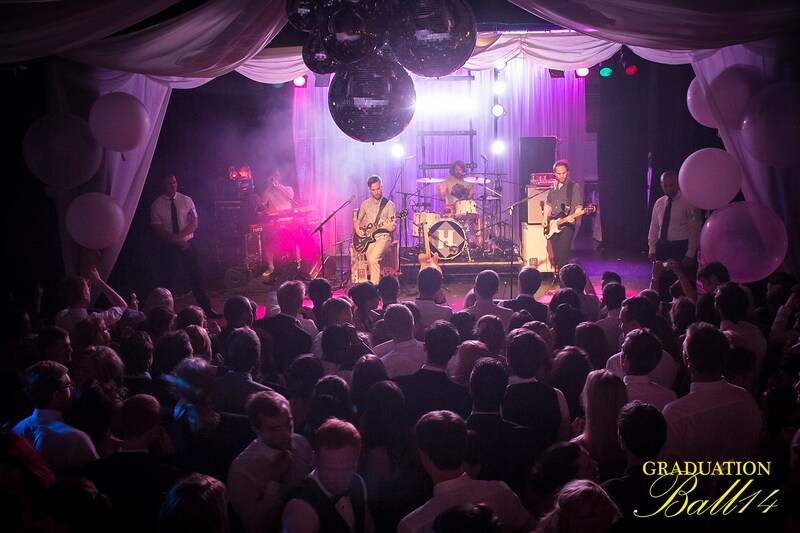 Their Graduation Ball started at 6pm and went on until 6am! 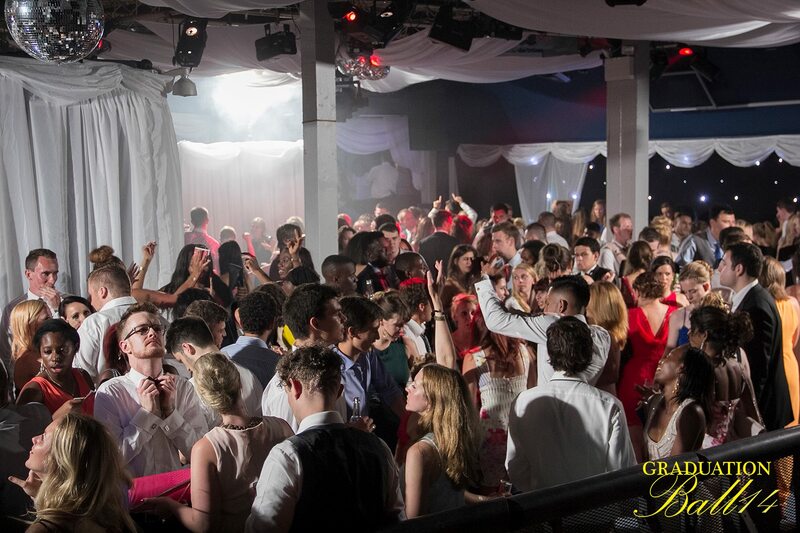 At Transform we know that Graduation Ball is one of the most memorable nights for any student. 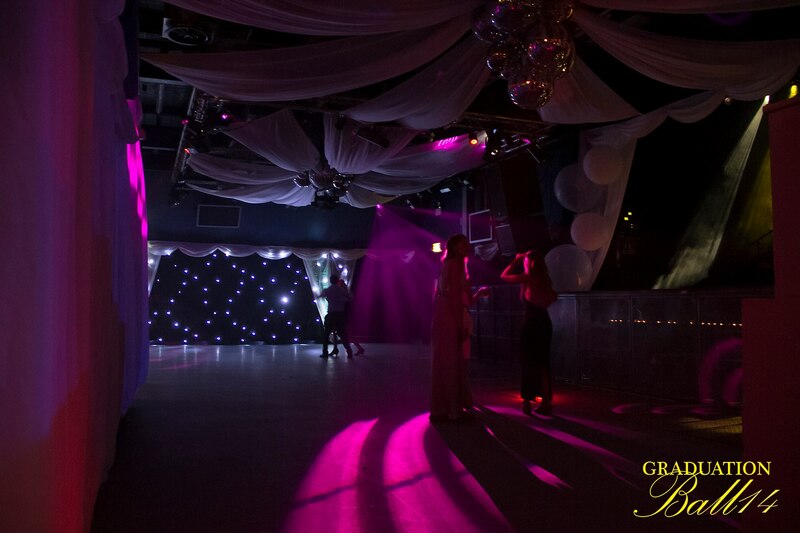 To help make their night unforgettable we completely transformed the students union with simple but effective white and gold draping. 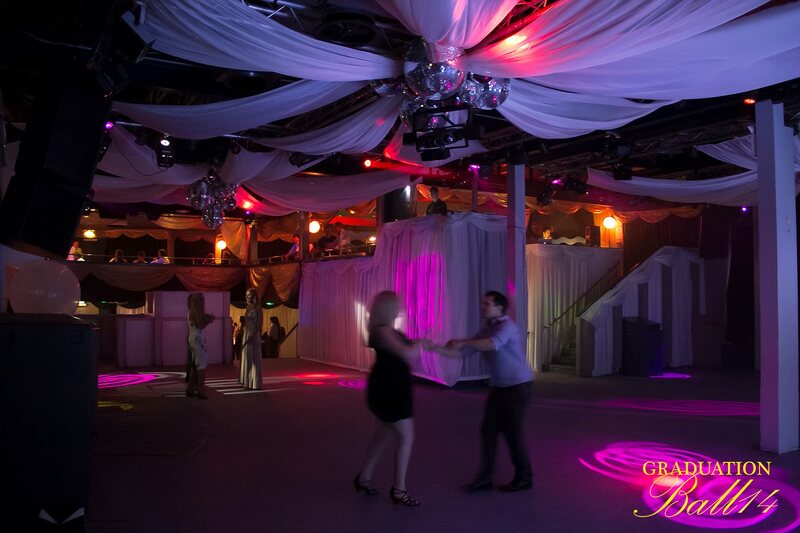 Iridescent crystals added a feeling of opulence to the event. 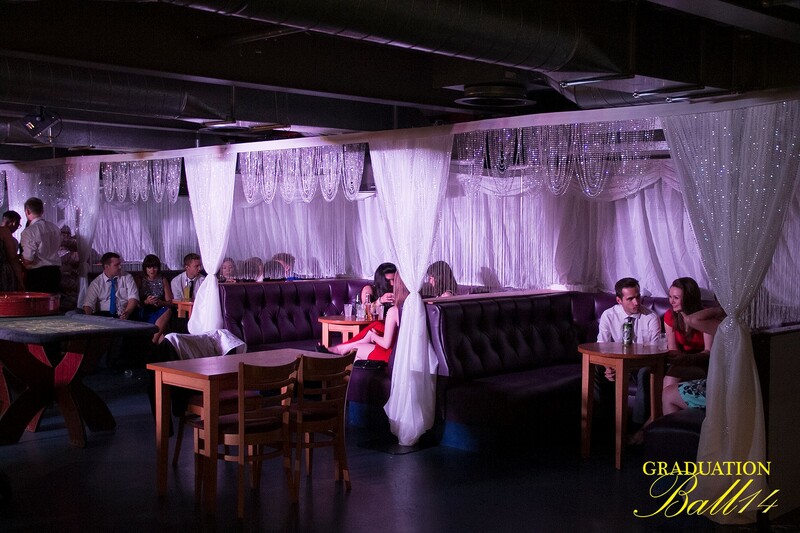 We also created intimate booth seating in a normally utilitarian area for the students to enjoy their final goodbye to the university and friends. 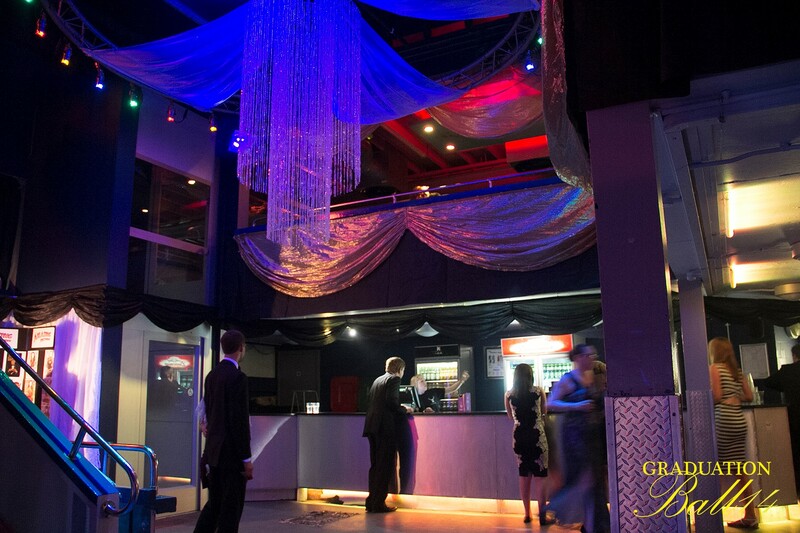 The crowning glory was stunning handmade crystal chandelier which finished off the opulent décor scheme perfectly.